It’s no longer a big secret that the global smartphone industry is in trouble, with a general lack of innovation and extended upgrade cycles routinely cited by analysts as the main reasons for consecutive quarterly sales declines reported over the past year or so. The situation is no different in China, although at least as far as one company is concerned, excessive retail prices are another key factor playing a crucial role in this troubling trend. In fact, when Apple made the unprecedented move of drastically lowering its revenue forecast for last year’s final calendar quarter, Chinese iPhone shipments were highlighted as one of the tech giant’s two greatest troubles. In case you were wondering exactly how bad things got in the region for Apple between October and December 2018, Strategy Analytics has the answer... and it’s pretty bad. If the market research firm’s calculations are correct (and they’re usually fairly reliable), only 10.9 million iPhones were shipped to Chinese consumers this past quarter, down from 14 million units in Q4 2017. That represents a massive 22 percent year-on-year drop, as well as the company’s worst quarterly performance in the country since early 2017. Yes, worse than several quarters during which Apple didn’t release anything new. 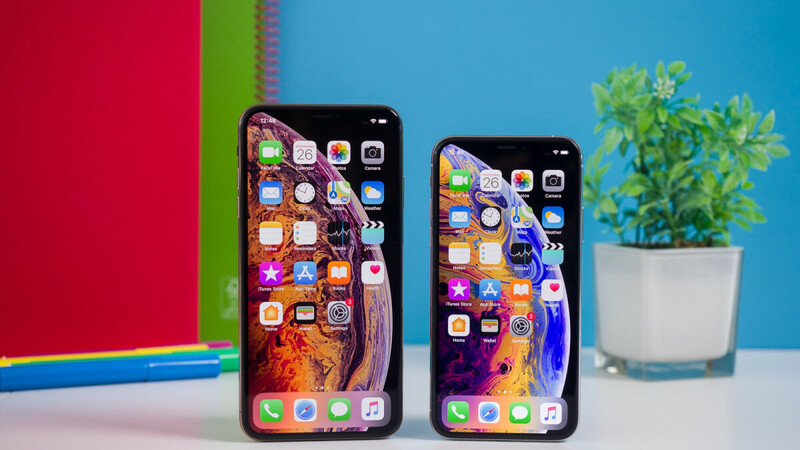 If it wasn’t already abundantly clear, the iPhone XS, XS Max, and even iPhone XR seemed grossly overpriced to an audience favoring devices from local brands Huawei, Oppo, and Vivo. While Apple is finally working to fix that, it’s unclear if the company’s figures will be able to rapidly bounce back as the US-China trade war continues. Of course, smartphone shipments on the whole were down in China both in Q4 and during the entire year, but somehow, Huawei and Vivo managed to defy that trend. Huawei even pulled off a record 28 percent market share in Q4 2018 on the back of an impressive 23 percent year-on-year growth. The market leader’s yearly numbers also surged a healthy 15 percent, to a grand total of 105.1 million unit shipments, while Apple’s full-year sales didn’t sink as badly as its Q4 figures, reaching 34.2 million units, down from 36.7 million in 2017. Obviously, the trend is the biggest problem, as well as those sky-high iPhone prices, which Strategy Analytics researchers are deeming harder and harder to sustain. Apple is the main company being affected due to greediness!!!! I hope their market share drop more! They deserve to die for ripping off its blind followers. They're definitely overpriced for what they offer in comparison to Huawei, Oppo/Vivo and Xiaomi. But it seems Samsung are going down the same path with the rumored pricing of the upcoming S10 starting at around $900 for the regular (non-lite) version. Blindly following Apple like a lemming may turn out to hurt Samsung badly. If so, then Samsung is gonna feel the same pinch, and rightfully so. Prices need to come down for them as well, but you do get way more in a Galaxy vs an iPhone, and for quite a bit less. That seems a bit extreme...I’d settle for improved products at more reasonable prices. So what happened to Xiaomi who lost 5,5 million sales? Xiaomi lost 2.7 million sales for the entire year of 2018. They lost 5.5 million for that quarter, but clearly they sold more the other quarters. Apple lost 2.5 million sales for the same 2018. Also Oppo lost 5.8 million in sales. But Huawei gained almost 15 million in sales in 2018. The very high price tag is to be blamed. Add to that fact that OEMs already outdid Apple in terms of innovation. Yeah. Those innovative OEM products were also priced sky-high. But still far lass than the equivalent iPhones which offered nothing innovative this year. It has nothing to do with the price: give a people a local brand and a foreign for the same price and most of them will get the local one (look at us, Korea and India to confirm that). Samsung has had the best Android phones by far until a few years ago (and still has but the gap is narrowed), yet they only dented the Chinese market. The price is a distant factor in why do we see what we see. Nahhh, Apple is just too greedy, and offers less for more money in the form of a boring limited device, that we all know could be way better. Wallets are now speaking. They aren't greedy it's just how business works, just like Samsung upcoming flagship phones are very expensive. Saying Apple isn't greedy, is like saying an octopus doesn't have 8 tentacles...very inaccurate. Galaxy s10: lamborghini with lamborghini price iPhone xs: bmw with ferrari price. iphones is a good product, just not great for price tag they ask. Greed is exactly how businesses work, since the beginning of...business. To think otherwise is the definition of naive. The difference between Apple and Samsung is the latter provide more in their product and incorporates the latest features and innovation. The latter incorporates design and features late in the day when they have already become the norm on other phones. How is Apple greedy when its gross margin is the same as the one Samsung has while Google - with the Pixel - has an even larger margin?! How is Apple greedy? Their margins may be similar to Samsung and less than Google but................ There's nothing in the darn box! Fast charger and proprietary cable = $70 (or is it $80?) Official iPhone case = $40 Various required Dongles = $15-30 each Repair cost = $500 Do you get it now Leo? Let's add it all up. iPhone XS Max 512GB = $1,450+70+40+30 = $1,590 That's $1,600 to match what's bundled in the box by most OEM's. I won't even go into how a $10 case suddenly costs $40 or the price gouging on the other accessories. That's greed. A fast charger, is 10€ more - retail price. The Case - it's 39€ (the same as a case for XS/XR) - neither company provides one in the box. Dongles - what for when you have lightning headphones in the box? "Repair cost" in the box?! You're kidding, right? So, with Samsung you have an extra 10€ in the box; 1% worth of value must be groundbreaking... Don't get me wrong, I too am pissed on Apple, because they provided me with a sub-par power brick, but only because I feel like they failed to put the clients first (my anger is smaller, given the fact that I got a 100€ discount, that way I paid nothing for the phone, but still)... So, if you think Apple is greedy, you should know that Samsung is just as greedy and Google is even greediest. €10 more than the €60 Apple charger in the box? It's not how much Samsung charge it's how overpriced the Apple fast charger is. €39 for a €10 case that costs €3 to manufacture and you're ok with that? I didn't add the $500 repair cost to my calculation so please read it properly. Don't even try and defend the indefensible. Your "whataboutism" is getting old. Dude, I'm looking at a retail store in my country and an iPad charger (12W) is 25€ (maybe the 18W would get to be 35€, it's not available yet); a 5W charger is 19€, so the difference is 16€ tops. I will give you 6.000€ for 1000 cases, identical with the one for XR (I mean identical: the same materials, the same fit, the same resistance, the same built; I know where to look and I know where to test them) - you double your money in an instant, but if they are not identical, I will withhold the payment. What do you say? You can make a lot of money from Apple's stupidity instead of bitching. All the sealed iPhones I bought were in perfect condition so why should I need to pay 500$ to repair them? Besides, 500$ are 4.16y of insurance (or 6+ years of AppleCare)... Now tell me again how is €10 (16, if you want) or 1% (1.6) groundbreaking? As I have said Apple gross profit margin is pretty much the same as Samsung's so, if Apple is greedy, so is Samsung. At first you said it was 10€ for a fast charger in your country, then you come back with another post that it is now 25€ or 35€. Look at the end of the day, millions would agree with people that say Apple is greedy. Especially the repair costs. Not to mention if you didn't pay Apple's extortion insurance (Apple Care). As if it will cost you $500 to repair the glass back of an iPhone. Give us a break. That is greedy. It doesn't even cost Apple that much to make a complete iPhone in the box. Apple's repair costs are a joke these days. Apple is not even bragging about how good their service is anymore. Because it's a rip off. Even 60 minutes did a piece on Apple's repair practices. They found that Apple was ripping off and lying to their customers for some repairs. There is even the right to repair movement in the US, because of Apple. To me these days Apple is the biggest culprit of fake news and propaganda these days. 25 or 35 - 19 (which is in the box) = you do the math. AppleCare is cheaper than Samsung protection plus. Why should I care about the cost when I have insurance? Samsung is greedy too, so is Google...That's how. Well, I don't care how much money Apple makes from an iPhone, I only care how it serves me. I would have no problem, paying 10.000€ for a phone (with the same internals as a 100€ phone, if I would get back my money's worth).